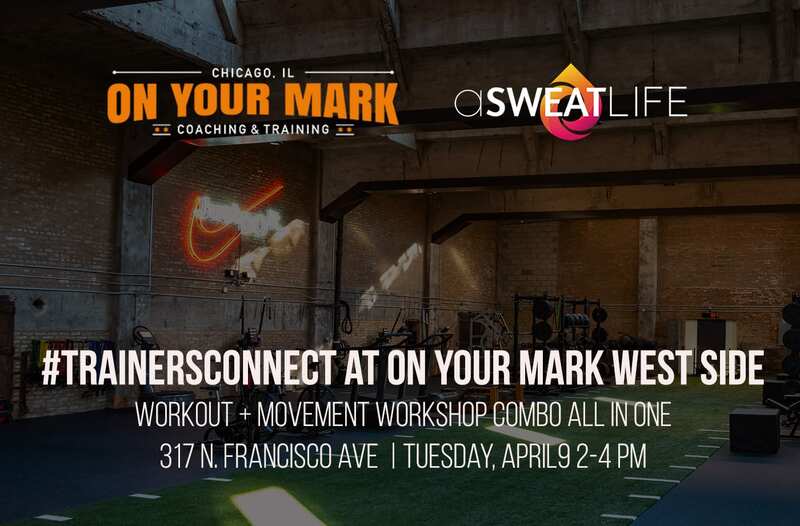 If you haven’t had a chance to visit Nike Master Trainer Emily Hutchins’ new location of On Your Mark, you’ll soon see why it’s any fitness enthusiast’s dream gym when you come to April’s #TrainersConnect on Tuesday, April 9. I’ll admit, when I first walked into the open gym, I wanted to do somersaults and cartwheels like a kid, I was so happy. 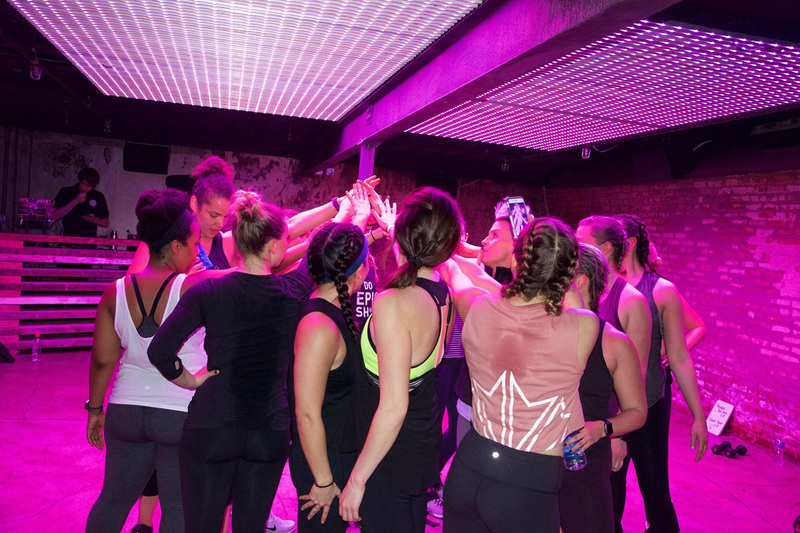 We couldn’t wait for the chance to host #TrainersConnect here – it’s the event series put together by aSweatLife to bring together fitness professionals from all over. 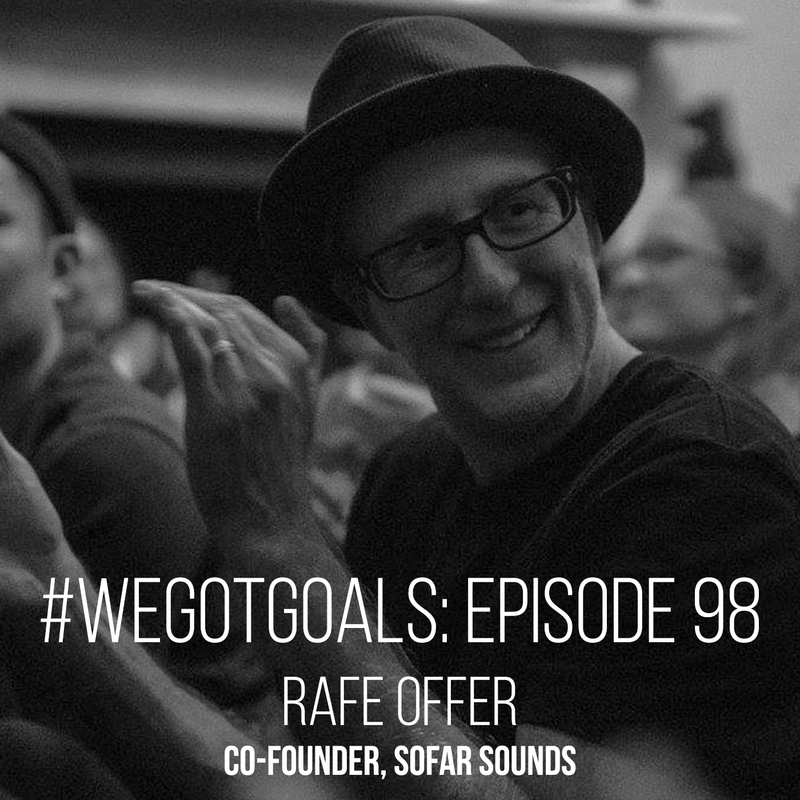 Not only do we get in a great workout together, we meet each other, we learn names, we get outside of our bubbles for one afternoon each month and enjoy the incredible community that makes up the fabric of the wellness industry in Chicago. 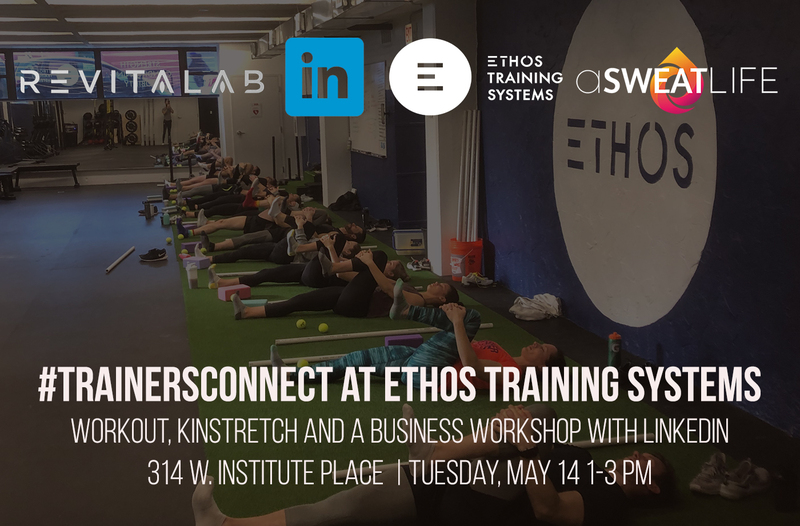 Typically, we host a workout and pair it with a workshop afterwards; we’ve talked about doing your taxes, self care for fitness professionals, and the nuts and bolts of content strategy, to name a few workshop topics. But this month, we’re switching it up. We’re utilizing every square inch of On Your Mark’s new space to create an afternoon of mini workouts, each with a specific purpose and workshop elements infused throughout. 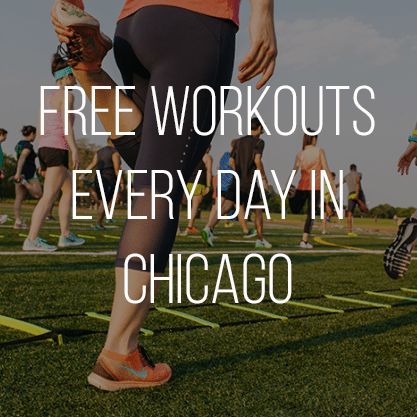 What’s happening at this workout + workshop combo? 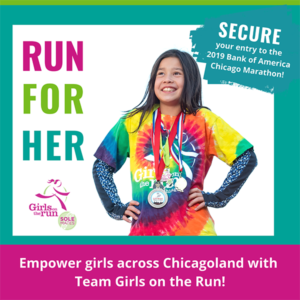 You’ll get a taste of three separate workouts, each with a different purpose, with a common thread and educational element across all three. Robyn Rabicke and Tori Karsten will lead 20 minutes of JOGA, after which you’ll learn how and why it’s different than yoga, and why it can be beneficial to certain clients or class participants. From there, you’ll get 20 minutes of straight strength and 20 minutes of metabolic conditioning, where you’ll apply concepts from the JOGA session – breath work, building proprioception in the body, and mobility, to the remainder of the workout. By the end of the workout, you’ll feel strong and accomplished, plus the reminder of why our bodies move the way they do – and how we can enhance that movement by priming and prepping them correctly. What are all the details, and where do I sign up?